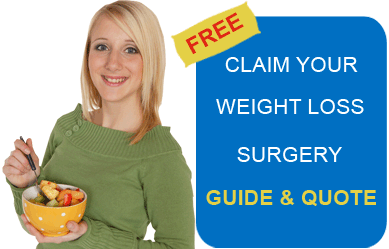 Bariatric Surgery World offers gastric sleeve surgery in New Delhi at highly affordable costs. The company network includes experienced surgeons, who have received training in USA and have several years of experience in bariatrics. Gastric sleeve surgery in India is also offered in other cities like Gurgaon, Mumbai, Goa, Bangalore. Alternate names of Gastric Sleeve Surgery: vertical sleeve gastrectomy, sleeve gastrectomy, vsg, greater curvature gastrectomy, parietal gastrectomy, gastric reduction, vertical gastroplasty. A restrictive bariatric procedure that permanently reduces the size of the stomach. Promotes weight loss by limiting the food intake capacity of the patient. Approximately 70-85% of the stomach tissues are surgically removed. The remaining tube or sleeve shaped stomach is sealed with the help of medical staples. This functions as a new stomach. Before you get ready to fly down to New Delhi for your Gastric Sleeve Surgery, you must consult your doctor to see if you are eligible for surgical weight loss. Body Mass Index (BMI) of 40 or more. BMI between 35 and 39, having serious obesity-related health problems. An understanding of the operation and the required lifestyle changes. You may refer to information provided by the US Department of Health and Human Services. Age and health of the patients are other factors that are considered before the surgery. In some cases, gastric sleeve surgery is used as a first step for a staged weight loss approach. For those candidates the BMI should be more than 60. Patients considering gastric reduction will be required to fill a medical bariatric questionnaire. Required pre-operative tests will be conducted once the patient reaches the hospital in India. Do not take any medicines without the surgeon’s approval. Physical and breathing exercises may be of help. Avoid high-calorie food. Prefer low-calorie, nutritious food. The surgeon might advise you a liquid diet for 1-2 days before the surgery. Liquid diet for two weeks after the surgery, followed by two weeks of semi-solid and then solid food. A dedicated exercise regime has to be followed. Low-calorie highly nutritious food should be preferred. Food should be chewed properly. Small meals, several times a day, should be preferred over large heavy meals. Alcoholic drinks and carbonated drinks should be avoided. According to a PriceWaterHouse Cooper report named ‘Emerging Market Report: Health in India 2007,’ India provides quality healthcare. India is a home to a number of experienced bariatric surgeons, many of whom are trained and educated abroad. Private hospitals in India are well equipped with advanced medical equipments and latest infrastructure. Affordable cost of surgery: The surgery in India is expected to be significantly cheaper than the US costs. Availability of English-speaking medical staff. Petty crimes such as pickpockets and bag snatching may take place, just like any other country. Tourists should use a money belt to keep their wallet and important documents. Prefer obtaining taxis from hotels and pre-paid taxis at airports rather than on the street. Photography is prohibited at many tourist places. It is advisable to confirm with the authorities before using the camera. Bottled water should be preferred. Those planning to get gastric sleeve in New Delhi, India can expect quality services at affordable prices. Bariatric Surgery World facilitates low-cost Sleeve Gastrectomy in New Delhi, India. Please fill out the quote request form on the right for more details.